Woolworths will soon start using the new Australasian Recycling Label across its entire Own Brand product range. The Australasian Recycling Label (ARL) was developed by Australian environmental organisation, Planet Ark, and aims to easily inform customers how to correctly recycle packaging. The new label was created as a response to research that found Australian customers are unsure what packaging can and cannot be recycled. Woolworths Food Group Head of Sustainability, Adrian Cullen, said Woolworths is committed to taking its environmental and community responsibilities seriously. “We know customers want to do the right thing and recycle packaging the right way, but have been frustrated in the past by unclear labelling,” Cullen said. Planet Ark Chief Executive Officer, Paul Klymenko, said Woolworths is the first major Australian supermarket to commit to adopting the ARL across all their own brand products. “Our research shows that the majority of Australians continue to be confused about recycling of common items,” Klymenko said. 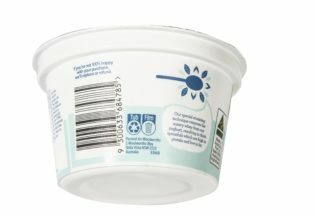 The labelling has already begun to appear on some Woolworths Own Brand products including pre-packaged salads and yoghurt. Woolworths has also begun the reduction of plastics and packaging in fruit and vegetables with trials underway to remove or reduce plastic packaging on 28 fresh produce products.